Julie has worked in the field of co-operative education since 1997 when she founded the first co-op education program in Arts at UBC in the English Department. Since then she has helped to create an Arts-wide program for students throughout all undergraduate programs, masters programs in UBC iSchool, and recently to PhD students in the English and History Departments. 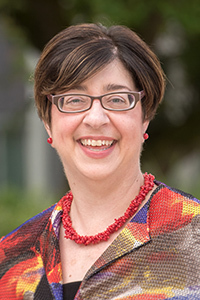 She is currently managing a multi-year, Arts-wide project to explore ways to support faculty members, staff, and students to integrate career education throughout the undergraduate experience. During 2008/09 she completed a secondment with the UBC Go Global International Learning Programs Office, creating a Student Safety Abroad policy and resources for UBC, and a handbook for faculty members leading Group Study Programs Abroad. Julie has served in a number of leadership roles in the co-op community, including President of the Canadian Association for Co-operative Education and President of the BC Co-op Association. A graduate from UBC’s B.A. and M.A. programs in English, Julie taught in the English department from 1993-97 and co-edited Landmarks: A Process Reader for Canadian Writers. Recognitions include the UBC President’s Service Award for Staff Excellence and the Association for Co-operative Education in BC/Yukon award for outstanding contributions to the Association. Sheila has been working in the career education and employment services field for over 2 decades. Starting with youth in the Vancouver School Board, she moved on to recruitment services, employment coaching, and workshop delivery with Career Services (now the Centre for Student Involvement and Careers) at UBC, and has spent the last 16 years actively involved in the growth and development of UBC’s Arts Co-op Program. pre-employment training/advising services offered to students. In 2008/09 Sheila served as Acting Director of the Arts Co-op Program. In 2009/2010, she took a personal leave to act as UBC’s Loaned Representative to the United Way of the Lower Mainland and to volunteer/travel in East Africa. Sheila is the recipient of the 2008 Dean of Arts Award for Staff Excellence. 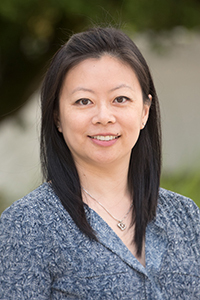 She has mentored many students through the UBC Arts Tri-Mentoring Program, recently joined as a mentor with the Canadian Association for Co-operative Education’s Mentorship Program, and liaises with the Arts Co-op Alumni Network executive committee. Having graduated from the UBC Arts Co-op Program in May 2005, Merry has first-hand knowledge of the value of co-operative education. Through the Arts Co-op Program, Merry learned how to apply the skills she developed as an International Relations major in a variety of work environments. Merry completed her co-op work terms at S.U.C.C.E.S.S. (as an Assistant Program Coordinator), Atira Women’s Resource Society (as a Human Resources Assistant), and TRIUMF (as a Technology Transfer Assistant). Merry hopes that through participation in the Arts Co-op Program, students, employers, and faculty members will realize that a Liberal Arts education prepares students for a wide range of career opportunities. Heather’s main role at the Arts Co-op office is to expand the program through active marketing, industry outreach, and brand awareness, with the goal of significantly increasing the number of job opportunities for Arts Co-op students. In her previous experience, Heather’s marketing initiatives have brought international attention to British Columbia’s technology industry. In 2004, she launched BC’s first International Partnering Forum at the Vancouver International Digital Festival. Through personalized business matchmaking, Heather provided an avenue for local companies to pitch the likes of international producers and distributors such as Cartoon Network, BBC, Flickr, and the Australian Broadcasting Corporation. Prior to joining UBC, Heather led product launches and interactive and print marketing for Vision Critical, makers of the world’s most adopted online research platform. RJ is responsible for implementing and executing business development initiatives for the Arts Co-Op Program. One of the main goals of his work is to promote the University and its Arts Co-op students to prospective national and international employers. 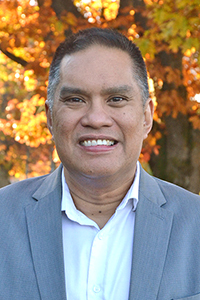 Prior to joining UBC, RJ spent 15+ years in results-driven sales and marketing roles, focused on fostering and growing client relationships in the public, private and non-profit sectors. He has extensive experience in multiple industries including technology, logistics, and telecommunications. RJ earned the Wings of Leadership 100% Club and Club excellence awards for achieving and exceeding sales targets as a National Account Commercial specialist at Canada Post. As Business Development Manager with Navigata Communications and Channel Sales Manager for Digital Dispatch Systems, RJ built industry and market knowledge and established strategic relationships to drive retention and business growth. Beyond being a customer-focused professional, RJ dedicates his personal time to leading community initiatives that support local and international charities. Anna has been working with graduate students since 2002 and has a wide-ranging background in program coordination, librarianship, communications, and administration; extensive experience working with and participating in international exchange programs; as well as several years of experience at UBC, working with various departments and programs in the Faculty of Arts since her own time as an undergraduate student at UBC. She first worked with Arts Co-op in 2001 during a work term as a shared Communications Assistant with the Dean of Arts Office. Her other co-op positions were as a Technical Communicator for TELUS Enterprise Solutions and as an Academic Office Assistant with the YMCA International College. While completing her M.L.I.S. degree at UBC, Anna completed her practicum and professional experience with the Vancouver Art Gallery Library, worked as a Coordinator for VPL’s Summer Readalong Program, and as a work-study student, managing the Department of Linguistics’ Reading Room. 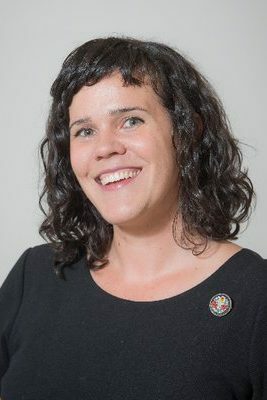 She has been in her role with the Arts Co-op Program since 2008 and works closely with students, faculty, alumni, and employers of the graduate programs in the Faculty of Arts that offer co-op to their students. Anna is also actively involved in the Association of Cooperative Education (ACE) of BC and Yukon as part of ACE’s PD Committee. She is currently Co-Chair of the committee and sits on the ACE Board in this role. Letitia Henville works closely with students, faculty, alumni, and employers of the graduate programs in the Faculty of Arts that offer co-op to their students—including the UBC iSchool and PhD programs in English and History. Letitia’s affiliation with the Arts Co-op Office began in 2002 when she was an undergraduate co-op student. In 2016-18, she supported an Arts Co-op initiative to develop best practices for Arts undergraduate and iSchool students to develop online portfolios of their accomplishments. The result is ubcarts.ca, a platform through which any UBC Arts student can create a professional online portfolio of their academic, work, and volunteer experiences and skills. In 2015, Letitia received her PhD in English Literature from the University of Toronto, where she also won the university's first annual Course Instructor Teaching Excellence Award. Since returning to Vancouver, Letitia has worked in the SFU Office of the Vice President, Research, and in UBC’s Faculty of Medicine in research grant support. 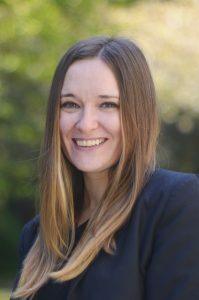 She is an experienced academic editor with expertise in research grant proposals and educational materials, and she writes the monthly column “Ask Dr. Editor” for the magazine University Affairs. In 2018, she won Editors Canada’s Claudette Upton Scholarship. Kerry's work in various roles at UBC over the last 10 years has focused on program development and management and student services and advising. 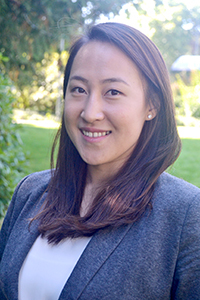 She was the Program Manager for the Master of Arts Asia Pacific Policy Studies and more recently, the Master of Public Policy and Global Affairs (MPPGA). In July 2018, Kerry stepped into the role of Career & Co-op Coordinator for the MPPGA program to focus on advising and supporting students as they develop, plan and implement their individual and diverse career paths. Kerry’s work at UBC has also included special projects and event management, often with a focus on Asia. She is particularly passionate about the empowerment of young girls and women and encouraging them to take up positions of leadership. David, a UBC B.A. International Relations and Arts Co-op graduate, started his journey with the Arts Co-op team as its Program Assistant. 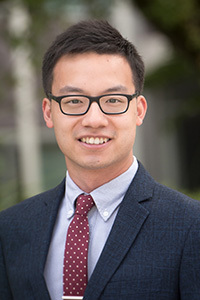 During the three years in this role, David had the opportunity to build on his undergraduate experience and passion for student affairs and experiential learning by managing all aspects of the co-op hiring process. From 2015 to 2018, David has helped the Program expand its opportunities by cultivating new partnerships with industry as the Manager, Job Development. Currently, as Sr. Co-op Coordinator, David continues to leverage his career and co-op advising expertise to help students successfully transition into young professionals. From his roots as an Arts Co-op student, David is dedicated to spreading the enriching value of co-operative education to students and employers alike. Gelsey comes to UBC Arts Co-op after working in private industry as a Chartered Professional in Human Resources. Among her accomplishments, the most notable include helping BMW Canada’s largest retail partner to earn top national ranking in Training and Development for two consecutive years, facilitating the launch of Philips’ new HR Information System, and assisting Metrie with building its first company-wide performance management program. 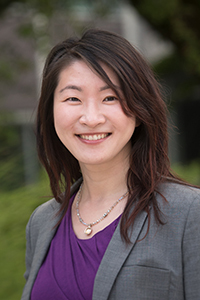 Gelsey discovered her passion for supporting the growth and development of young professionals while volunteering to provide career advising to international students. Through years of observation and experience dealing with employee performance issues, Gelsey believes that future career success is greatly influenced by the opportunity for students to take part in experiential learning, where they can practice, learn, cultivate and reflect on essential competencies. 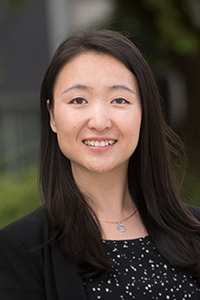 Gelsey is currently pursuing a Master of Education at UBC to understand adult learning in the context of globalization. 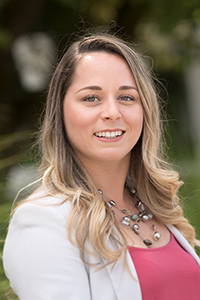 Isabella moved abroad from Brazil to pursue a degree internationally, leading her to acquire an Associate Degree in Psychology in California, and a B.A. in International Relations from UBC. 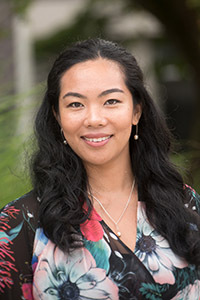 She started her professional journey in Canada as a Work Learn student with UBC's Faculty of Medicine, eventually leading to a role as Curriculum Coordinator for 120 Masters students in Occupational Therapy. Isabella’s experience living, working and studying abroad complements her passion for student academic and professional development. Sarah was born in Canada to South Korean parents, and spent most of her formative years in Brazil. She returned to Canada to pursue a B.A. in Sociology at UBC. Upon graduation, she worked at Bank of Montreal in Vancouver as a branch support officer. 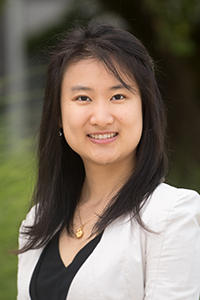 She then returned to UBC, first as an Undergraduate Program Assistant and then as a Senior Program Assistant in the Department of Computer Science. In this department, Sarah provided support for over 2,000 Computer Science undergraduate students as well as CS faculty advisors. 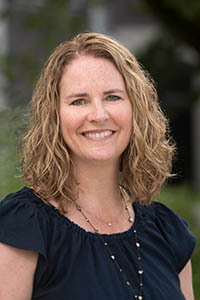 Sarah’s multicultural background and experience in diverse international educational environments provides a foundation for her enthusiasm in helping students pursue their academic and professional goals. In her role as a Senior Program Assistant in the Arts Co-op Program, Sarah supports essential operations of the program by overseeing all stages of the hiring process in close collaboration with students, employers, and other stakeholders. As a recent co-op graduate from the UBC Sauder School of Business, Savannah is excited to continue her journey with UBC and to support experiential learning opportunities with students, employers and faculty members. Through her co-op terms, Savannah gained a variety of experiences, including positions with Aon and UBC Go Global, as well as working abroad as a Recruitment Assistant with Perfect World in Beijing. These work terms enabled Savannah to apply classroom knowledge in the workplace, and now offer her a unique perspective on local and international placements. Savannah is keen to blend these experiences and her passion for student growth to help individuals reach their potential through Arts Co-op.